The nylon collars come in solid colors as well as patterned nylons in 3/4", 1", 1.5" and 2" widths. 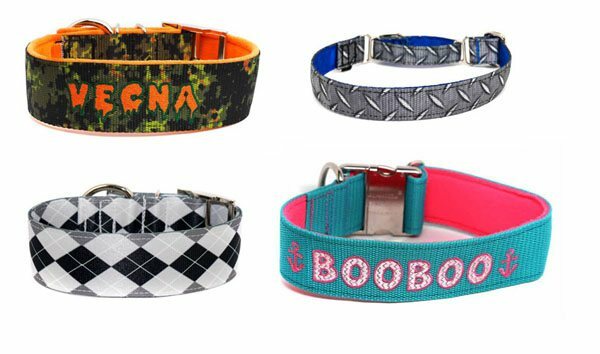 You can choose to also add embroidery to the collar with your pets name and phone number after you build your collar and add it to your cart. HERE to discuss this before ordering and I can let you know if what you are looking for is available.